A member of the Igbo tribe of Nigeria who became a nun and trained as an anthropologist, Joseph Therese Agbasiere had a unique opportunity to transcend some of the preconceptions and subjectivities inevitable when an 'outsider' studies a native society. Her richly detailed ethnography examines kinship practices, marriage customs, and women's responsibilities in the house and the community, establishing the tremendous influence that Igbo women wield in public affairs. Igbo ideas about the universe, the person and spiritual considerations are also discussed and shown to be primarily centred around women. 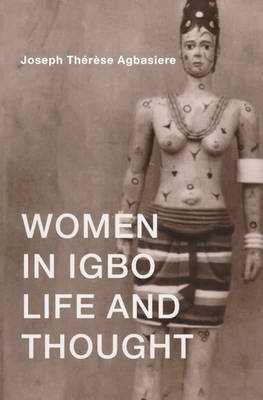 This fascinating work is a testament to the combination of personal insight and academic detachment which the author brought to her study of Igbo women before her death in 1998. It will be a valuable resource for students and scholars in anthropology, African studies and women's studies.